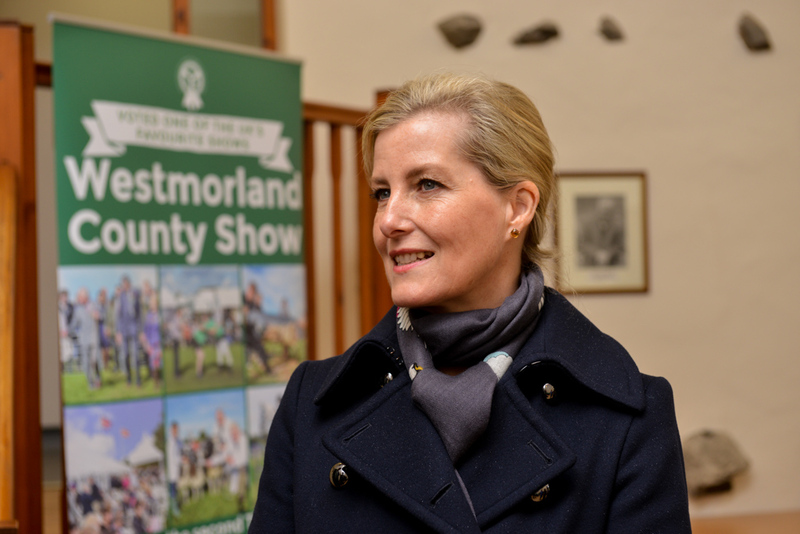 Westmorland Agricultural Society (WAS) is honoured to welcome the Countess of Wessex as its President for 2018. The Countess is a keen supporter of agriculture, farming and food production and is a great ambassador for agricultural shows. Following her attendance today, (Thursday 8 February), at the Society’s Annual General Meeting, the Countess of Wessex was voted in unanimously as President for 2018. The Westmorland County Show was voted as one of the UK’s favourite agricultural shows, and won Tourism Event of the Year in the Cumbria Tourism Awards in 2015. This one day Show offers visitors a fantastic day out, with cattle, sheep, pigs, goats and alpacas, heavy and light horse classes plus so much more. Visitors can shop till they drop amongst the hundreds of trade stands and will be tempted by artisan chocolates, cheeses, pies, gins and much more in the North West’s largest local Food Hall. The Westmorland County Show is held at the Showground, Crooklands near Kendal.